The key to a tasty red curry sauce is a fresh, well-balanced curry paste! If you have a curry craving that just won’t quit, this low FODMAP red curry paste recipe is exactly what you need! I fell in love with Thai curries when I met my husband. We had a lovely authentic Thai restaurant down the street from us. I think we single-handedly kept them in business! 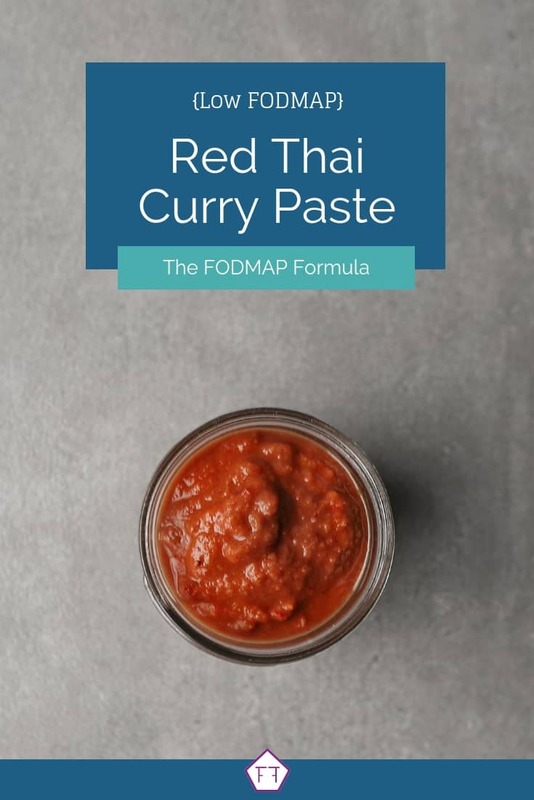 When I started the Low FODMAP Diet, finding a great-tasting red curry paste was at the top of my Franken-FODMAPing list! And, after many failed attempts (including the one time I accidentally made lava – sorry taste buds), I’ve definitely cracked the code! This red curry paste will add a pop of heat and a beautiful umami flavour to all your favourite curry dishes. Give it a try and let me know how it worked out in the comments below! Want to try this low FODMAP red curry paste, but you don’t have time to try it now? Don’t worry! You can PIN THIS POST for later! This low FODMAP red curry paste is the flavour you’ve been waiting for! 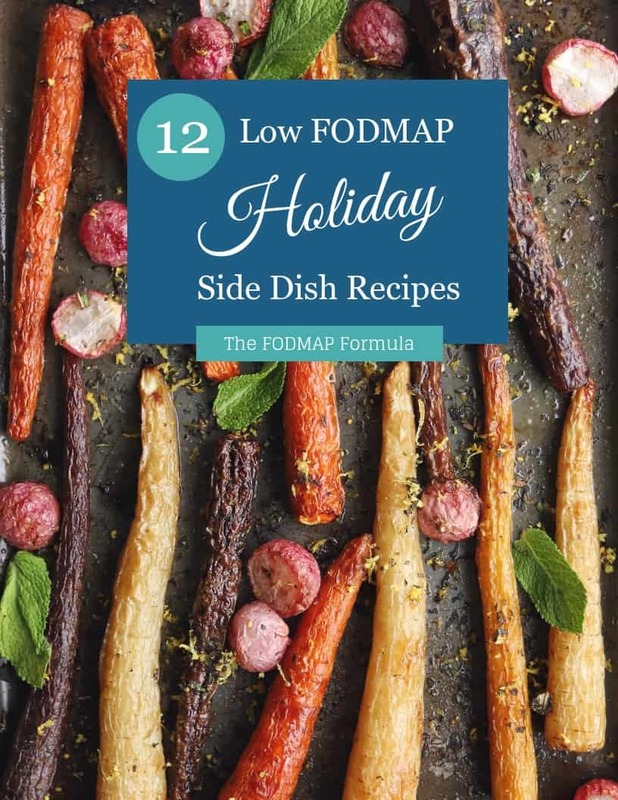 Check out the notes below for tips on keeping this recipe FODMAP friendly! First up, chili peppers! According to Monash University, chili peppers are low FODMAP in servings of 1 11″ chili. Servings of 1 and 1/4 chilis are high in the FODMAP fructan. We’ll be using 2-4 dried red Thai peppers in this recipe. This works out to 1 pepper per tbsp of curry paste. Since most recipes call for 1-2 tbsp of red chili paste, you’ll be within Monash’s recommended range. Remember, chili peppers are high in a chemical called capsaicin which can cause heartburn. If you’re not sure how you react to spicy foods, start with 2 peppers and work your way up from there. Next up, lemongrass. According to the Monash app, lemongrass is low FODMAP in servings of 1 stalk per sitting. Though, Monash doesn’t list a maximum serving size. This recipe uses one stalk total, so you’re good here. If you can’t find lemongrass at your local grocery store, swap it out for the zest of one lemon. For the record, Monash doesn’t have lemon zest listed in the app, but they do have two recipes on their blog with the same amount of zest. We’ll also be using fresh ginger. According to the Monash app, ginger doesn’t have any FODMAPs, so this ingredient won’t add to your FODMAP load. Next up, tomato paste. The Monash app says tomato paste is low FODMAP in servings of 2 tbsp per sitting. Though they don’t list a maximum serving size. We’ll be using 2 tbsp total which is within Monash’s recommended range. This recipe also gets a pop of flavour from garlic-infused oil. Don’t panic! FODMAPs are not fat soluble. That means they won’t escape if you cook them in fats like oil or butter. You can read more about how FODMAPs break down here. When you’re picking a garlic-infused oil, check the ingredients for garlic, garlic extract, etc. as these aren’t low FODMAP. You should also check for pieces of garlic or sediment at the bottom of the bottle. If you can’t find a low FODMAP garlic-infused oil at your local store, this garlic-infused oil has been certified by Monash University. We’ll also be using lime juice. 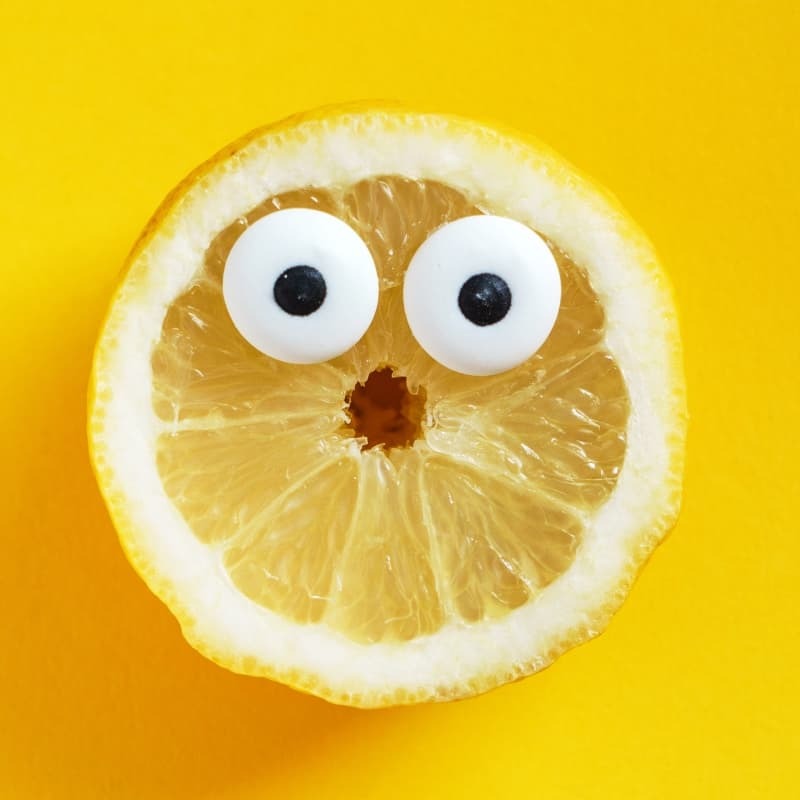 According to the Monash app, lime juice is low FODMAP in servings of 1 cup per sitting. Servings of 1 and 1/5 cups are high in fructans, so measure carefully. Our recipe uses 2 tbsp total, which is well within the recommended range. Last but not least, fish sauce. Monash says fish sauce is low FODMAP in servings of 1 tbsp per sitting. Servings of 1/2 a cup or more are high in galactooligosaccharides (GOS) and the polyol mannitol. This recipe uses 2 tbsp of fish sauce total. This is well within the recommended range. 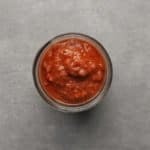 Want to make this low FODMAP red curry paste? Don’t forget to PIN THIS RECIPE for later! Have a curry craving that just won't quit? Try this easy low FODMAP red curry paste! Place your chili peppers in a heatproof container and soak in hot water for 20 minutes. Once the peppers are soft, pat them dry with a paper towel, cut off the stems, and scrape out the seeds. Place all of your ingredients in a blender or food processor and pulverize them until smooth. Done and done! Put your favourite curry dishes back on the menu with this quick and easy low FODMAP red curry paste! Did you like this recipe? Don’t forget to share it! Together we’ll get the Low FODMAP Diet down to a science! Low FODMAP Sweet and Sour Chicken Looking for a quick and easy dinner that tastes great? Your whole family will love this simple sweet and sour chicken! Low FODMAP Salsa Chicken Looking for a healthy dinner idea? This savoury salsa chicken recipe is the perfect way to sneak some healthy veggies into your diet. Low FODMAP Enchiladas Give your dinner routine a shake with these easy low FODMAP enchiladas! Stuffed with savoury seasoned beef and smothered in a homemade red sauce these enchiladas will be the talk of your table.